Levelling function to even the soil bed. Spare part for rake (article No. 1003466). Filling and levelling the ground needs a good soil rake but what could be better than a solution that not only does that but is also suitable for raking grass. 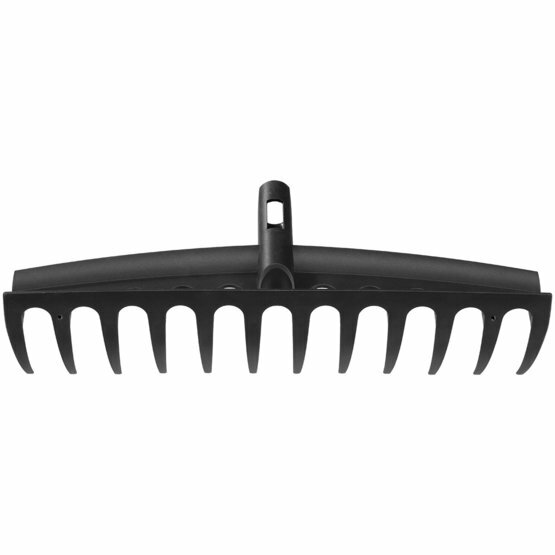 The Solid Universal Garden Rake is, therefore, a great choice for somebody who appreciates multifunctionality from their tools. 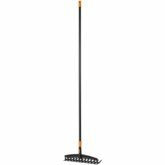 So if you need a rake that does both soil preparation and rakes leaves, this is the right tool for you. 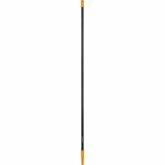 Its solid construction and sturdy prongs allow for easy raking and offer a versatile solution to the leaf rakes in the Solid range. For perfectly raked lawns and levelled beds, this tool is hard to beat.